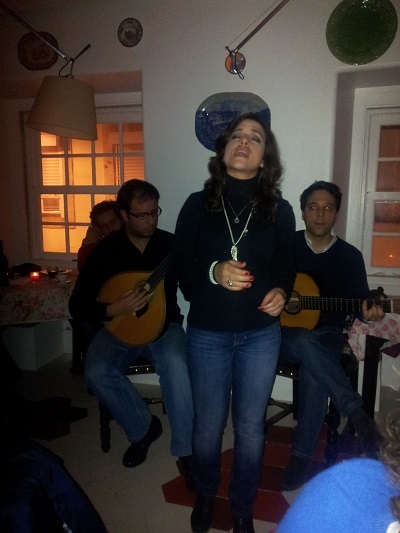 A city break to Lisbon is not complete without a night with fado, the melancholy Portuguese music. 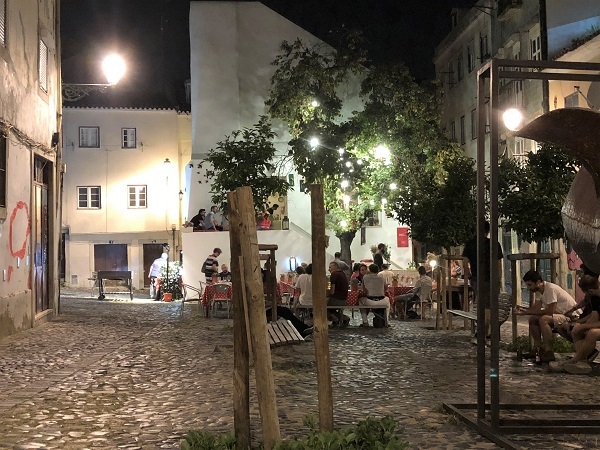 Good fado has its home in historical areas Alfama or Mouraria, like in restaurant/bar ‘Maria da Mouraria‘, the former house of Lisbon’s first fadista: ‘Maria da Severa’ . 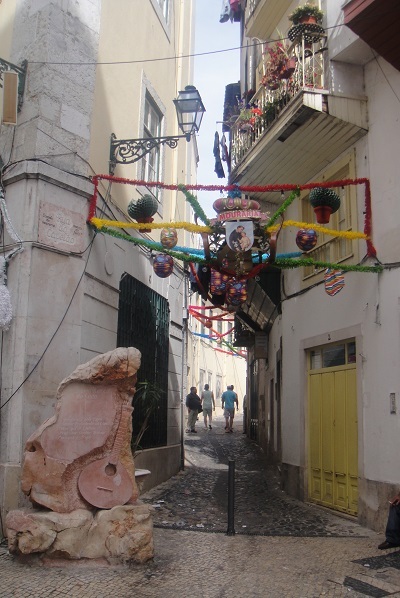 Mouraria , cradle of fado’ Lisbon in June (Santo Antonio festivities): Rua do Capelão (& fado monument), entrance to fado bar/restaurant ‘Maria da Mouraria’. 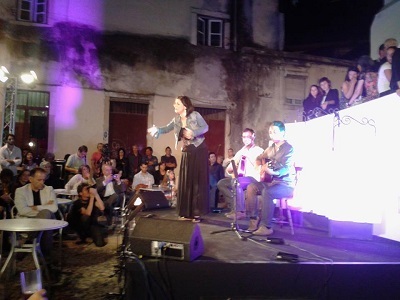 Fado is very traditional to Portugal. It is a song expressing sadness, longing, love, passion and life (saudade) The fado singer is often dressed in black, accompanied by a Portuguese guitarra and it is sung by men and women. 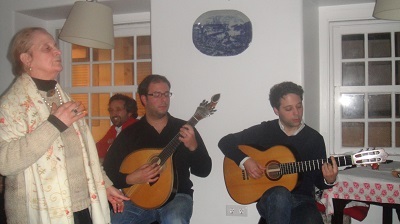 You are expected to be quiet when the fado is sung in fado houses. 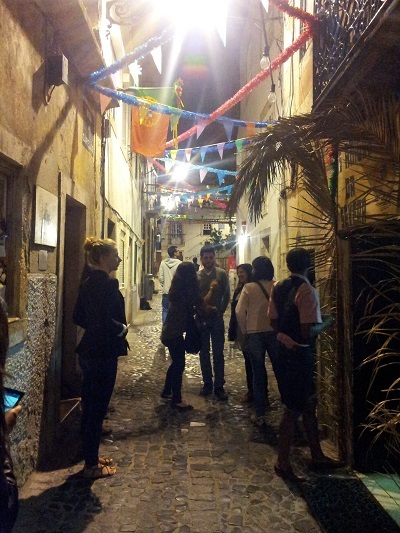 No district in Lisbon is more praised for fado music than Lisbon’s historic Mouraria area. It is said that the melancholic sounds of the music and singing of the Moorish people were at the base of fado (meaning fate) music, often described as the Portuguese blues. Mouraria Lisbon, restaurant/bar & fado house ‘Maria da Mouraria’, Largo da Severa 2. 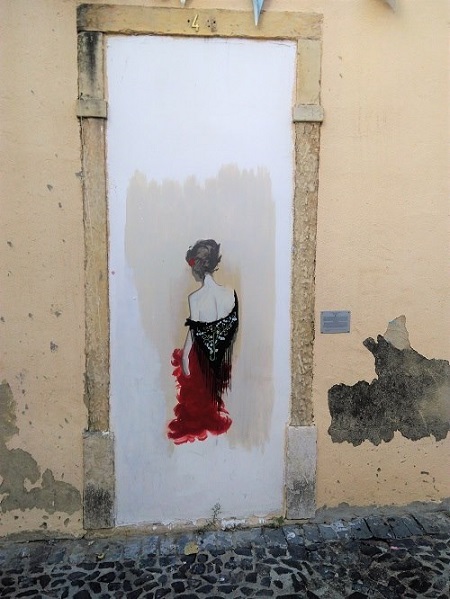 It is said that Maria da Severa was born in this house, that’s why this place was created (in 2013) to promote fado as a tribute to the legendary singer, considered by many as the first fadista. She died here, at the age of 26 years old, November 30, 1846.
Who was Maria da Severa? Maria is said to have been a tall and gracious prostitute, and would sing the fado in taverns, were she encounters a Count, Armando de Vimioso, bohemian, and a celebrated and aristocratic bullfighter. After Maria sings for Armando, a passionate romance begins. Armando’s mother, Constanca, forbids the romance, being a scandal in the family! The House of the Counts of Vimioso had also close links with the Portuguese royal family. People who like to gather here are musicians, actors, journalists and residents of surrounding neighborhoods. Fado house ‘Maria da Mouraria’, works as an extension to the Fado Museum. To better understand the history of Lisbon’s song, it is essential to visit the museum, located in the nearby area Alfama. You can have dinner, or just enjoy some snacks and a couple of drinks. 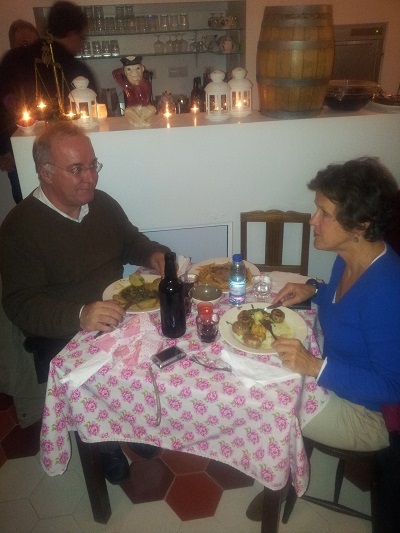 We were surprised by fadista Tania Oleiro and the delights of a good dinner (from 20:00 pm). If you wish to dine here, make a reservation. Retratos do Fado – Um tributo à Mouraria. 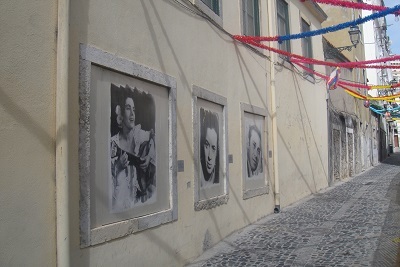 (Portraits of Fado – A tribute to Mouraria). 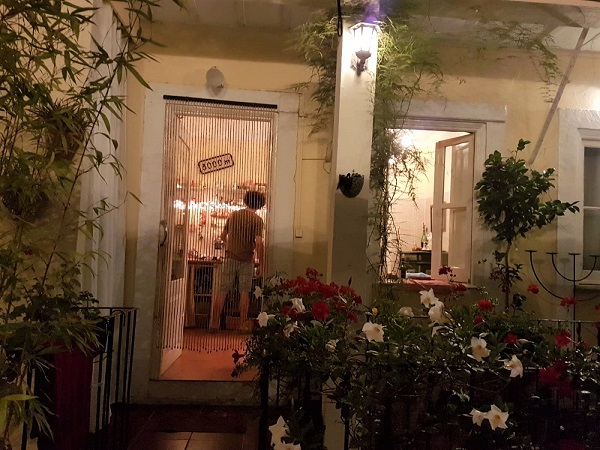 This is a permanent exhibition of fabulous photos printed on wood on the walls of the streets in a tribute to fadistas with a strong connection to the neighbourhood. A great idea! Created by British photographer Camilla Watson , who has been living in the area for 6 years. 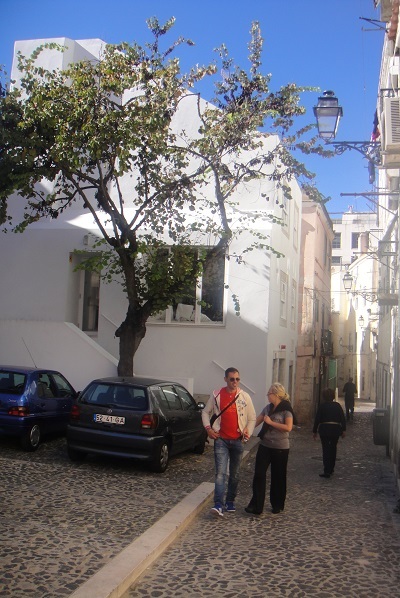 In summertime you can enjoy well-known fado performers in front of ‘Casa ‘Maria da Mouraria’, (YouTube). Film screenings, book readings and performers are the responsibility of Helder Moutinho. Fado House ‘Maria da Mouraria’, Largo da Severa in Mouraria Lisbon. 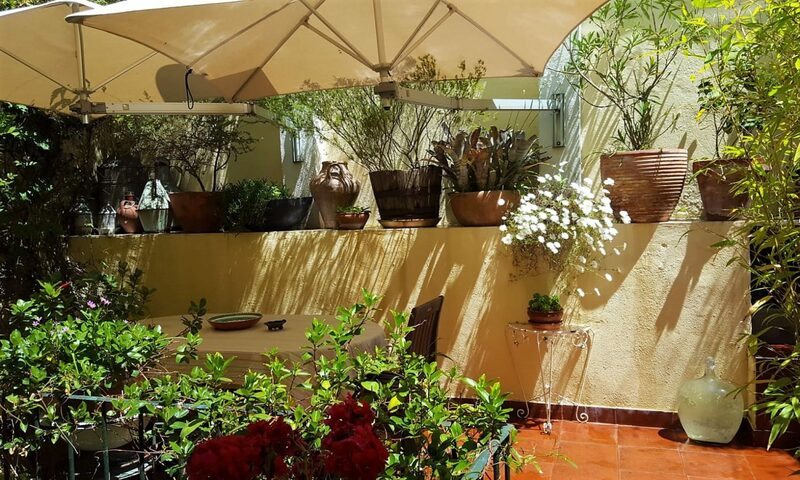 In summertime the terrace is open for drinks and petiscos (‘tapas’). Largo da Severa Nº2/2B. Trams 15, 28 , metro square Martim Moniz. 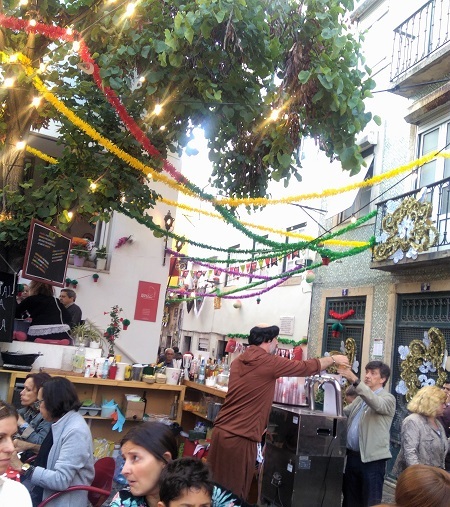 Are there Fado performances at Maria de Moureria, Senhor Vino or Clube de Fado on Christmas night, December 25, 2015? Are there performances on that night anywhere that is considered a good Fado venue? I have a question to ask. 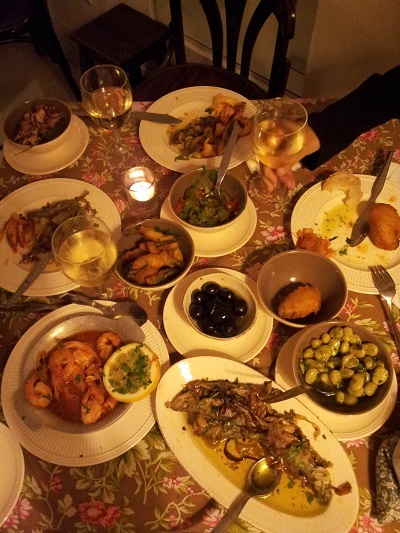 I have read somewhere that the fado singer, Fernanda Maria, no longer has her restaurant, Lisboa a noite. Did she retire? Any details about her?